Do you want to have a great time while having the chance to become super rich? Then purchasing a ticket for MegaMillions is a good idea. This lottery game is incredibly popular in the United States. It is organized in 44 states plus the U.S Virgin Islands and the District of Columbia. Millions of people are eagerly waiting for the draw every week, because MegaMillions offers Jackpots of 15 million dollars or more. An interesting thing about United States lotteries is that they are organized per state. Unlike many other countries, there is no national lottery. However, in the past few years more multi-state games are being organized. This interest grew after a very big Jackpot was drawn in 2000. It was worth 363 million dollars and was definitely record breaking. In 2002 several states decided to organize a multi-state lottery, namely New York, Ohio, Illinois, Georgia, Maryland, Michigan, Massachusetts, New Jersey and Virginia. They called the new lottery ‘MegaMillions’, and it was an instant success. The first MegaMillions tickets were sold on May 15, 2002. Just two days later the first draw took place. It differs from other lotteries because of the very high Jackpots. The Jackpot prizes start at 12 million, and can reach incredibly high levels. Several American states noticed the enthusiasm around MegaMillions. As a result Washington and Texas also joined the multi-state lottery, respectively in 2002 and 2003. In 2005 California had to honor the become the 12th member. Nowadays no multi-state lottery is as a big and popular as MegaMillions. Another important event in the history of MegaMillions took place in January 2010. It made a cross-selling agreement with Powerball, which meant that even more state-wide lotteries joined. Even more, in 2017 all the American lotteries participate in MegaMillions. It’s definitely worth it to be a participant of MegaMillions. Tickets are sold at multiple places for just one dollar. You can buy them in a store or online. One of the advantages of this lottery is that you can buy tickets in every state, plus the District of Colombia and the Virgin Islands. This makes 46 jurisdictions in total. All the key duties of MegaMillions are shared by the member states. For example, think about budgeting, financial settlements, the settlements of draw and wagering data. The show production and broadcasting on television is also shared by the states. Besides that, they monitor their statistics and pay attention to public relations, among many other tasks together. However, the accounting is handled by the states individually. The states use different laws in regarding to the treatment of their winners as well. In some places they need to publicly identify, in others they don’t have to. It’s really easy to play in MegaMillions. You only have to guess six numbers that match with the draw on Tuesday and Friday evening. Millions of Americans are watching WSB-TV at these moments. Because of fact that it’s a station-wide lottery, the broadcasting time is different. For example, it’s 11.00 p.m. Eastern Time, but 9.00 p.m. Mountain Time and 8:00 p.m. Pacific Time. People from abroad can participate in MegaMillions as well. You don’t have to be an American citizen. You purchase a ticket at an American lottery retailer. Sometimes MegaMillions are also sold by companies around the world. You can easily find these tickets online. However, you have to be careful because these companies are not always trustworthy. Every Wednesday and Saturday morning the winner numbers are published on the website of MegaMillions. After the draw these numbers need to be verified first. However, this is usually done very quickly. Players can also choose to receive the winning numbers automatically be e-mail. Perhaps you have some questions about the winning numbers. For more information about this lottery you can always contact MegaMillions. The professional team is always ready to help you. For example, don’t hesitate to ask your questions about the amazing app of MegaMillions and Powerball. MegaMillions definitely moves with the times. It even has a free app called ‘LotteryHUB’. These app was developed for both Powerball and MegaMillions. 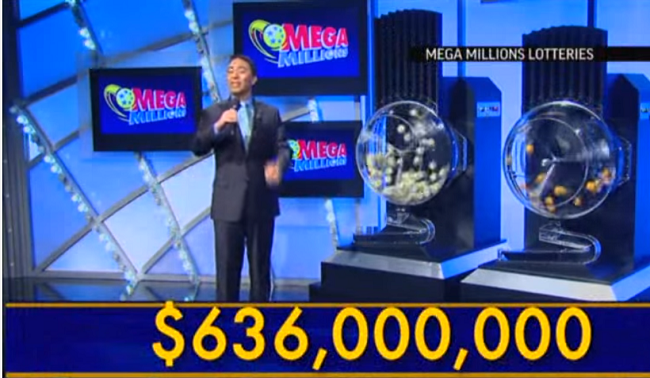 It’s a great extra with options like videos of MegaMillions draws. So the television is no longer the only option to watch the draws. Instead, just visit the app on your mobile phone. It’s even possible to catch up on the missed lottery drawings and results. The application for ticket tracking is great as well. You also have to put your numbers from Powerball and MegaMillions into the app. As a result you always receive the latest information about winning numbers and the Jackpot. You can download the app in Google Play and the Apple App Store. However, it’s not possible to purchase lottery tickets on the app. The app and the high Jackpots are not the only thing that make MegaMillions great fun. Did you know that you can also increase non-Jackpot prizes with the so called ‘Megaplier’? With this option you can double your winnings with 2,3 and sometimes even 4 or 5 times. Pretend that you’ve won 1 million dollars. With a Megaplier number of 5 you’re the proud winner of 5 million dollars instead! Even more fun is the fact that this option on your standard ticket, and it only costs 1 dollar more. MegaMillions is actually the online lottery that sells tickets for 1 dollar. Always be careful when you receive ‘a telephone call’ MegaMillions. For example, some people have become the victim of scam. They receive a telephone call from someone who says they’ve won the MegaMillions lottery. Ignore this message completely when you haven’t purchased a ticket. Criminals also use other inventive tricks nowadays. Don’t believe them when they say they work for MegaMillions. This doesn’t make sense, because it’s a lottery and not an organization. Only the participating lotteries sell the tickets. In most states you have 180 days to 1 year from the draw date to claim your prize. However, the number of days can differ per state. You should check this online. Always be careful with your ticket. MegaMillions is not responsible when you lose it. It would be too bad if there happens to a big prize on it. Perhaps you’re not the only winner of the Jackpot or another great prize. MegaMillions offers the possibility to play together and share the prize. Some states have different rules regarding to the sharing of prizes. So always check the lottery in the state where you purchased the ticket(s). 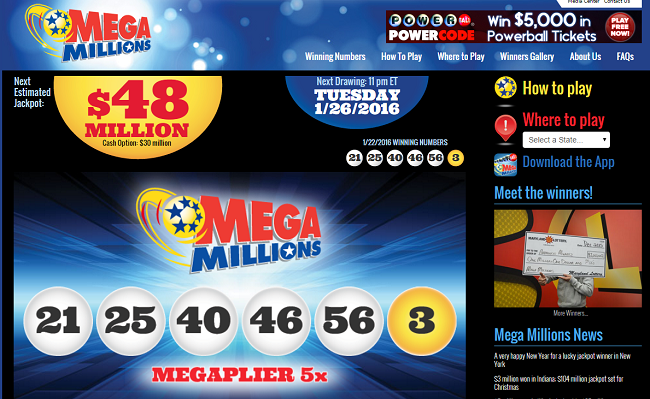 Thanks to the internet it’s really easy to purchase MegaMillions tickets. Residents from Kentucky, Georgia, Illinois, North Carolina, Michigan or North Dakota can get their tickets online when registering for one of the lotteries of these states. It’s also possible to subscribe online in the states of New York, New Hampshire and Virginia. However, this online option is only available when you’re a resident of one of these states. There are several payment options when you’ve won a prize in the MegaMillions lottery. Many players choose the annuity method, which makes it possible to receive a payment immediately, followed by 29 annual payments. Each payment is 5 percent larger than the one before. You do have to pay income tax over your prize by the way. The taxes differ from state to state, so always check your own lottery. Other players choose the ‘Cash option’ instead. In that case they immediately receive the payment from the MegaMillions prize pool.